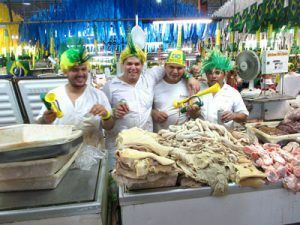 We on the Motor Yacht Tucano are part of the communities of both the remote villages we visit and the larger city where our vessel is home ported, Manaus, Brasil. We do our best as members of these communities to share the benefits of tourism as broadly as possible as well as work conscientiously together as responsibly as we can. The M/Y Tucano team has a commitment to positive impacts on the environment and the local community of which we are a part. Sustainability is not just about avoiding negative impacts - sustainable tourism must also have a positive benefit. The operations of the M/Y Tucano are crafted to both share the economic benefit with the community and to promote conservation of the Amazon rainforest. 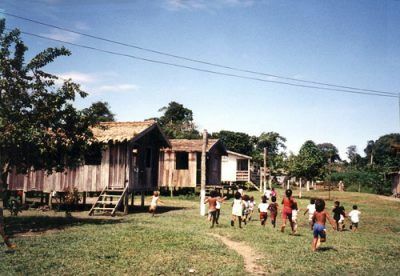 The basic ways that these goals are sought is through promoting environmental education, providing stable well paid long term employment, by implementing procurement policies that distribute the benefit of ship purchasing, and, importantly, through providing revenue to local communities in a way that places high value on preserving wild rainforest. Our commitment to preserving the rainforest environment is borne mostly through support of environmental education as well as engagement with governmental authorities charged with preserving the environment. Our voyages are intensive learning experiences, but not just for the travelers. Our goal of environmental education includes our staff and everyone involved with our expedition voyages from equipment suppliers to the local peoples we encounter deep in the remote forest. Through our own conscientious conduct and through careful, thoughtful analysis of the beauties and wonders of the Amazon forest, we hope that everyone with whom we are associated also understands the necessity of preserving this great wilderness. In the nearly three decades of conducting Amazon expeditions we have seen this conscientiousness grow within our communities to become a shared mission and an expression of enduring pride. On our cruises we are very careful in our interaction with local peoples and to avoid turning the villagers into trinket vendors or cultural reenactors. We have elaborate procedures in place for not disturbing small communities with our visits. This includes varying the places we visit and ensuring that the interactions with local peoples are respectful and not economically or culturally disruptive. We provide materials that can benefit not just individuals, but the entire community such as diesel fuel for the generator or writing materials to the village school. Our cruise supply and maintenance purchases are quite considerable and we do our best to purchase directly from the local farmer at the farmer’s markets. There is a significant multiplier effect of revenue from our vessel operations. Because we are ourselves locally based, virtually all of our activities have social and economic benefits to local people. We especially support sustainable tourism through employment and careful and considered purchasing for our expedition cruises. All of our staff members are licensed by the Brasilian maritime and tourism authorities. While many tourism enterprises hire part time, free-lance guides, all of our staff are long term employees. They are skilled naturalists and mariners and their enthusiasm for communicating their knowledge of the forest, as well as promoting sustainability, are the most important aspects in the success of our cruises. Almost all of our crew members have all grown up in the forest and have a vast store of experience to share with our travelers. Everyone on the M/Y Tucano team shares in the benefits of long term employment and receives comprehensive health care, paid vacation time, retirement accounts, and a variety of other benefits that demonstrate our collective commitment to working together as a team for sustainable forest preservation.